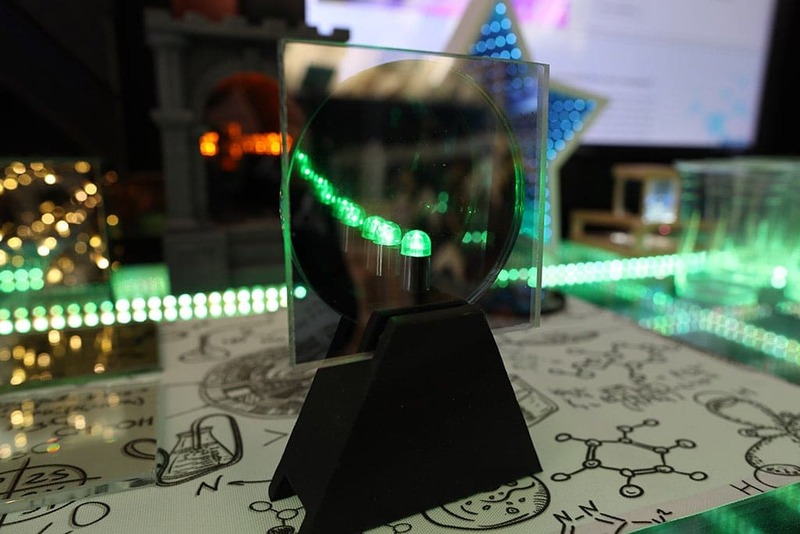 Today I am going to show you how to make an infinity mirror. In fact, there are so many different ways, I want to share them all with you. By the way, the Glass Two Way Mirror is the BEST mirror type for this project because it is one directional. That means you will see the least amount of “ghosting” from the viewing side. In other words, you will be looking into a very dark, deep infinity instead of staring at yourself. 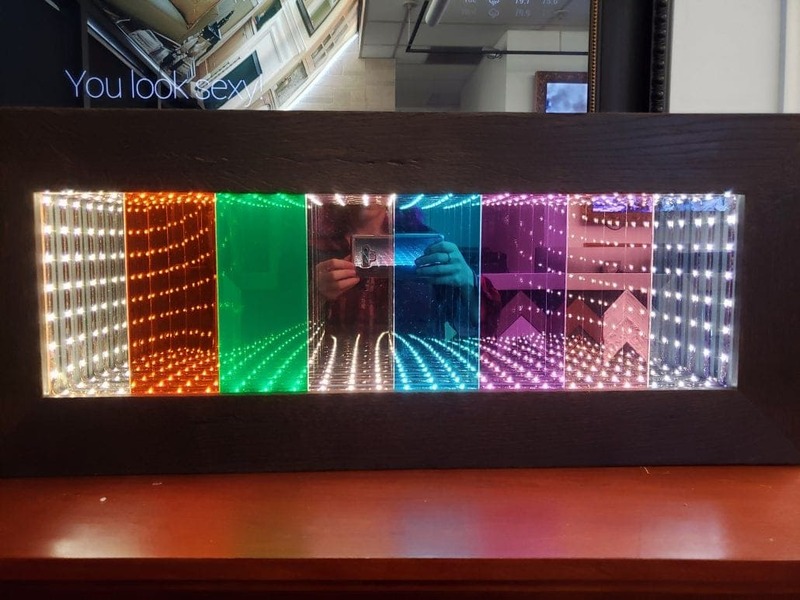 What is an Infinity Mirror? Glad you asked. 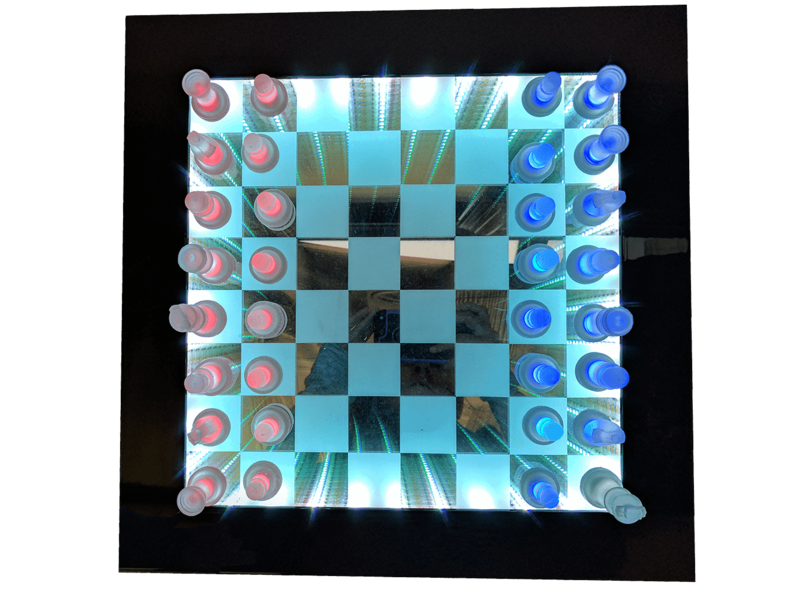 Infinity mirrors are one of the greatest and easiest optical illusions to create using three simple things: two mirrors and a light source. When combined, it makes the illusion that the lights are trailing off to infinity by placing the lights between the two mirrors. 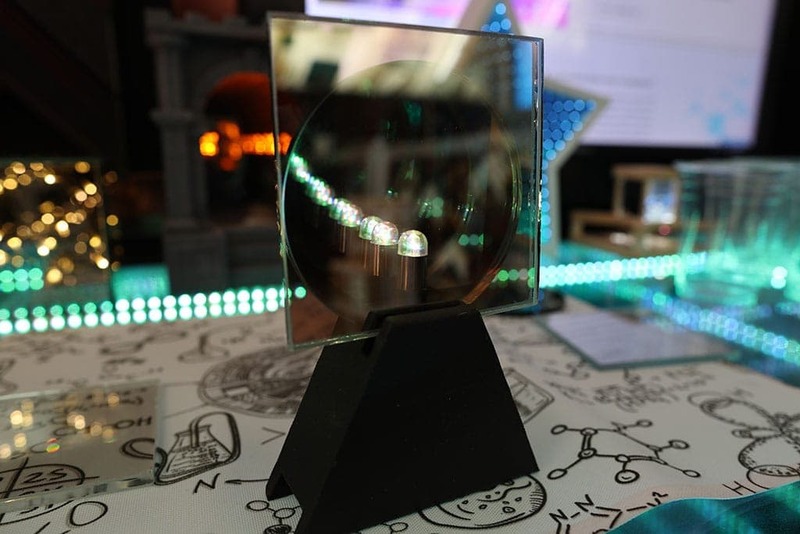 Traditionally the setup uses a glass two way mirror and a standard mirror to create the effect. People have taken this to the ultimate level by making tables, cubes, different designs, signs and so on by manipulating lights and glass. The Glass Two Way Mirror is great to use if you want minimal ghosting in the infinity effect and you want the viewer to see infinity without seeing themselves at the same time. The result is a dark, twisty infinity with a lot of depth. The Acrylic Two Way Mirror is ideal for projects that need a mirror that is more durable and less likely to break. Avoid for larger projects because it will create a funhouse effect. The Colored Acrylic Two Way Mirror is just fun! Imagine all of the possibilities with these color tints. You can have any color mirror you want to match any room or space. The Glass Smart Mirror is great for projects that require switching the mirror effect when the lights off so that it is a regular mirror. A Glass Two Way Mirror will just appear like a dark tinted glass when the lights are off. 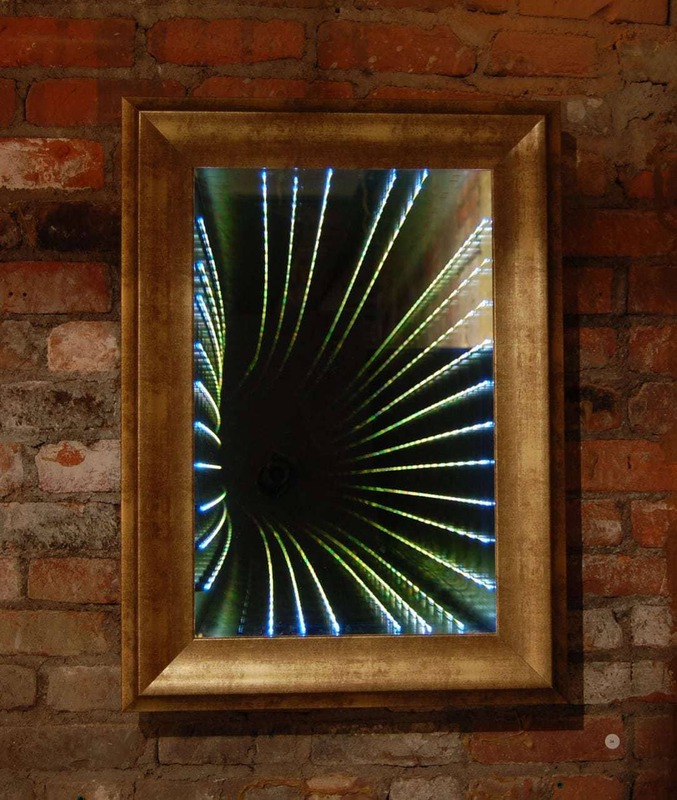 The Dielectric Mirror also can provide an infinity illusion. 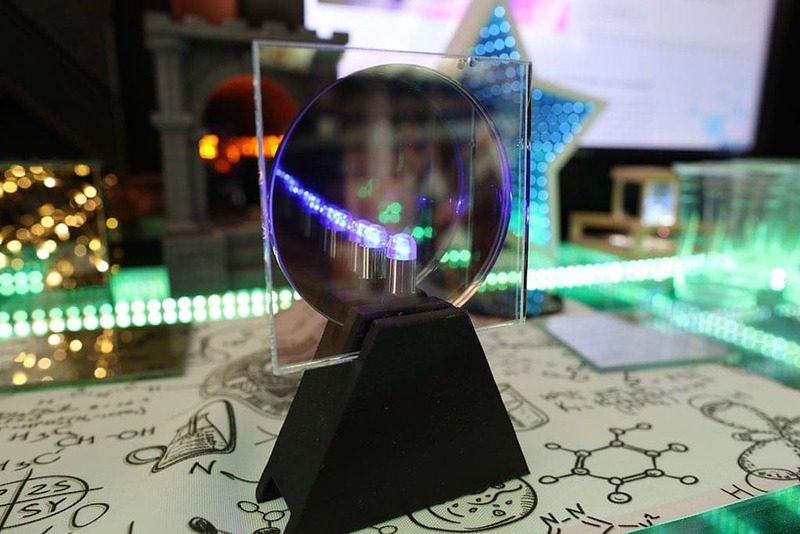 This could be awesome for projects that need a larger clear glass case and then utilize only a portion of the mirror for an infinity effect. For instance, this Lego Millenium Falcon Coffee Table could be encased in Dielectric Glass and then on the bottom for the infinity elevator the glass floor would be seamless and the lego would appear to be sitting on a mirror. 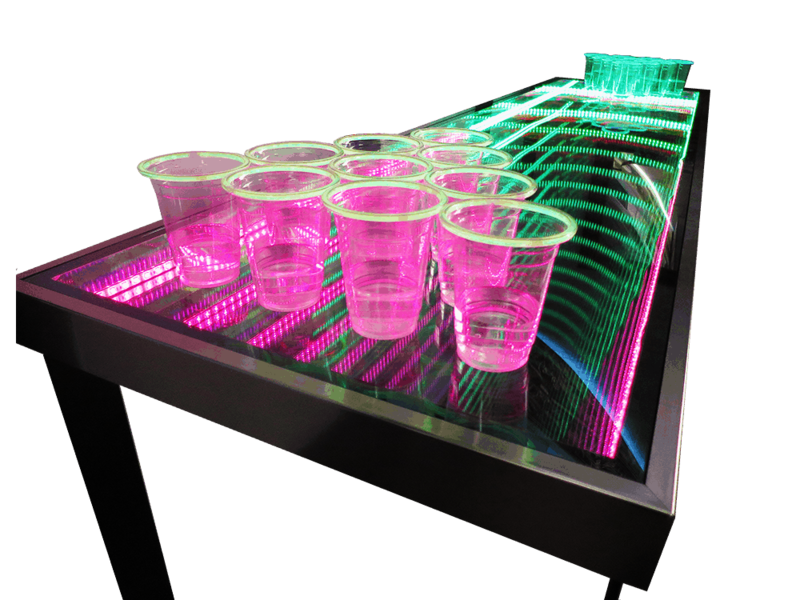 One would just need to add the LED strips and standard mirror to the bottom of the coffee table and paint the rest of the bottom black to achieve this effect. 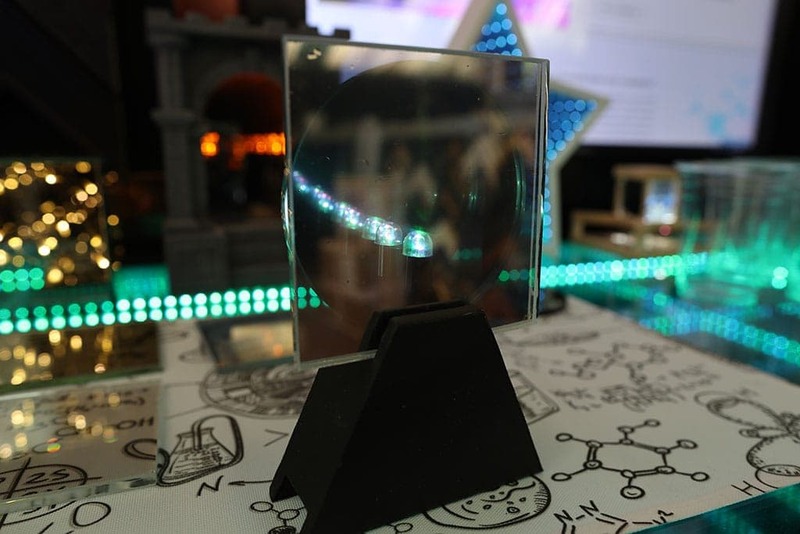 The Two Way Mirror Film can be used on clear glass to create an infinity mirror. This is a great budget option but notice that the mirror quality is much more foggy, not as crisp as the glass and acrylic options. 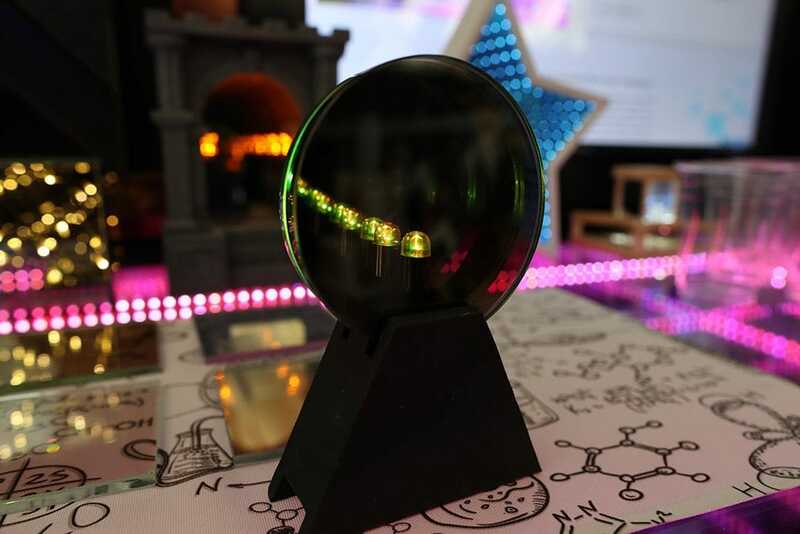 I cannot wait to take more pictures with the colored acrylic two way mirrors. 😀 Who is with me!? !